This house is amazing in so many ways! It has a true Up North feel that is ready for entertaining. When you see this property you will understand some of the features including breathtaking sunsets, master suite, 2 fireplaces, and so much sleeping area! The large lot includes 153' of frontage on Mullett Lake with a 24x32 pole barn for your toy and storage requirements in addition to so many updates including new roof, sealed foundation system, 3 decks, and attached garage. 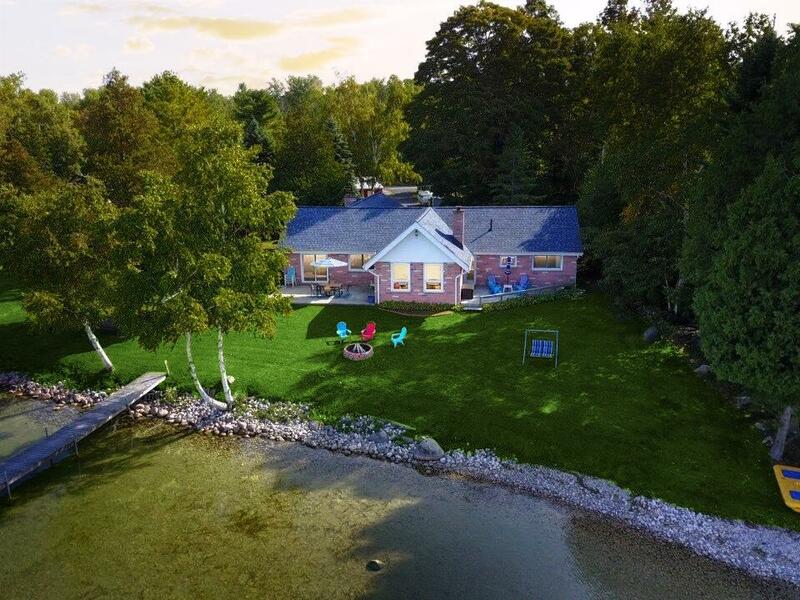 Some of the benefits are Cheboygan and Cheboygan River are a short distance away and the sandy rippled sand at the end of the dock is hard to beat! This is such a well cared to property that can make a great home or cottage!